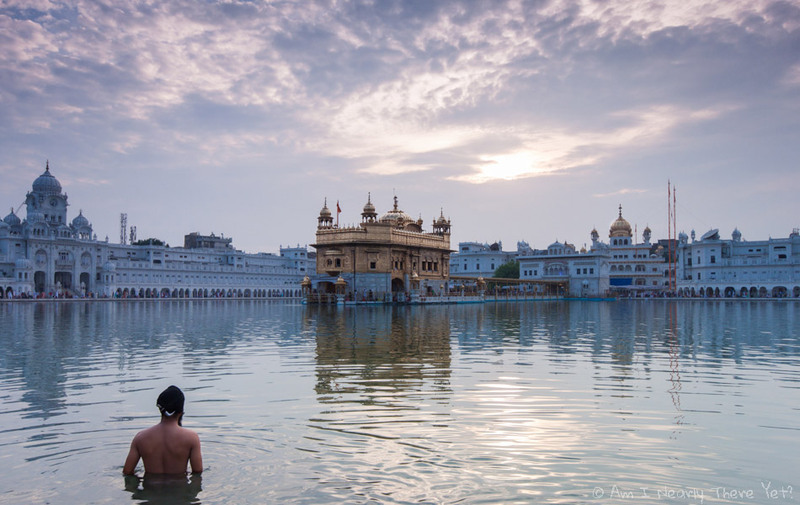 The Golden Temple in the northern city of Amritsar is the holiest Sikh religious site in the world, with millions worldwide travelling to India each year to visit the temple. Beautiful white marble and gold clad buildings surround the Golden Temple, which is in the centre of a pool of holy water. The man in the shot stripped to his trousers and waded into the pool as the sun slowly setting behind the temple. It’s an incredible beautiful place where non-Sikh’s are welcome to explore and experience what happens within the grounds of the Golden Temple.